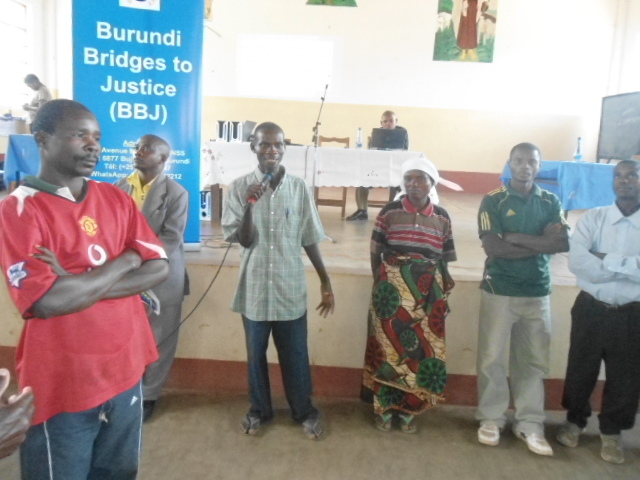 On June 24, 2017, the Burundi Bridges to Justice (BBJ) team conducted a rights awareness event in Mubimbi District of Bujumbura Province which was attended by 114 people, culminating in the presentation of a play depicting an arrest. The attendees represented 76 grassroots communities, each of which counts at least 10 members. 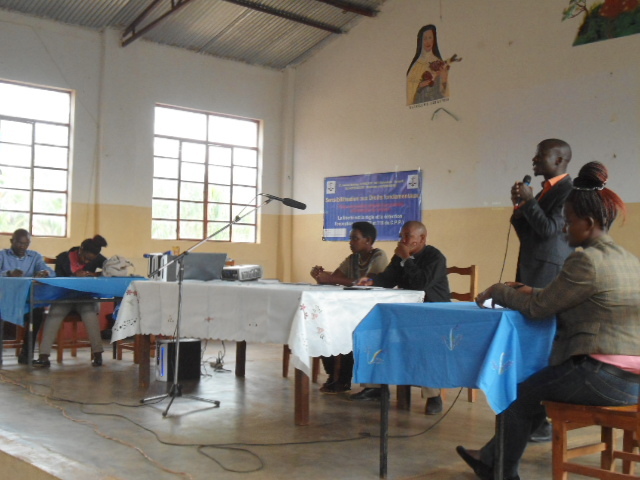 The event aimed to improve the population’s understanding of the legal safeguards that protect arrested persons in Burundi, with a particular focus on the right to not be subject to torture. The educational action also encompassed other rights such as the right to initiate legal action against the torturer, the right to be assisted by a lawyer, the right to be brought before the judge within a fair and reasonable timeframe, and the right to be informed of the reasons for arrest. Over the years, the BBJ team has developed a wide array of methodologies to facilitate ordinary citizen’s understanding of the legal rights and safeguards of arrested persons. 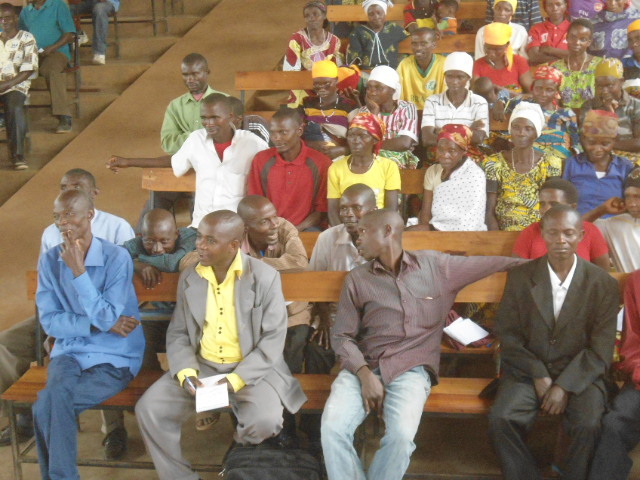 The tools and strategies used are designed to be inclusive of illiterate communities, as in 2015 nearly 15% of adults in Burundi were estimated to be illiterate. Therefore, each event relies as much as possible on interactive and participatory audio/visual activities. The Mubimbi event included a film projection, a PowerPoint presentation, a Q&A session, role plays and a final evaluation. 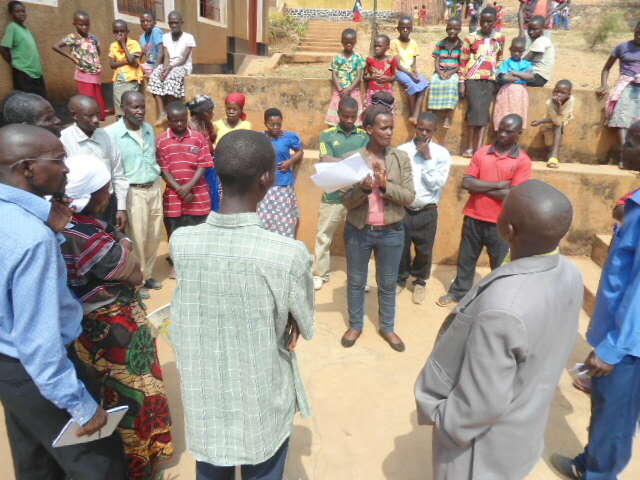 After presenting the Burundian and international laws that safeguard due process rights, the BBJ team led discussions with the attendees that gave them an opportunity to share their experience of undergoing or witnessing human rights violations, bringing to light many strong testimonies. The exercise revealed that, prior to the event, many thought torture was allowed in some situations, or did not know that to be assisted by a lawyer is a sacred right of every arrested person regardless the offence they may be accused of. 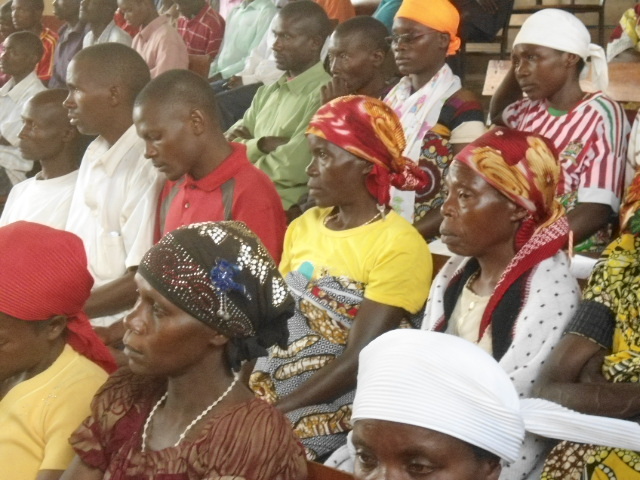 It also clearly appeared that the population was eager to acquire more knowledge around human rights topics. Finally, a highlight of the event was the participation of the attendees in a play where a person was arrested and subject to human rights violations, including arbitrary detention and torture. Each of the participants played the part of a stakeholder (police, prosecutor, lawyer, arrestee) implicated either in the respect or violation of the legal procedure. Thus, they demonstrated their knowledge of the awareness campaign material. At the end of the event, a questionnaire was distributed to evaluate the level of understanding acquired by participants regarding human rights and due process rights. The results were very positive and participants committed to sharing this newly acquired knowledge with their community members. Participants also recommended that the BBJ team conducts more of such participatory human rights educational events.